Security threats are on the rise and end points are now the targets of complex attacks. Can you make the cloud an effective ally for defending endpoints and networks from the latest blended threats? Today’s cloud-based solutions combine patch management, antivirus and content filtering to insulate systems from the most complex threats around. Join this webcast to find out the best practices for making the cloud your security ally. Learn how implementing some simple message management solutions can help your company comply with the various data protection and data retention laws. Most companies today are aware of the data protection and retention laws they are obliged to comply with. They are probably also aware that these regulations apply equally to electronic data as it does to paper-based documents. Yet there are still many companies that do not have the systems in place to ensure they are compliant and have therefore had to pay out some hefty fines. In this webcast we take a look at some simple message management solutions that can help organizations ensure they are managing company and personal information efficiently, securely and in line with legal requirements. While many have come to appreciate the power of modern search engines, such as Google or Bing, there is a threat presented by unfettered searching – one that can compromise security, violate policies and confound compliance requirements. Dealing with that threat has become a major chore for today’s network security personnel, nevertheless, many of the tools on the market leave much to be desired. Join this informative webcast and learn about that threat and how to deal with it. 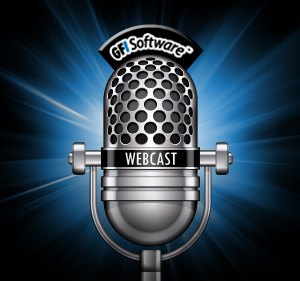 Andrea Martin manages GFI’s global webcasts program. These are delivered on a monthly basis and targeted at anybody interested in learning more about our technologies.